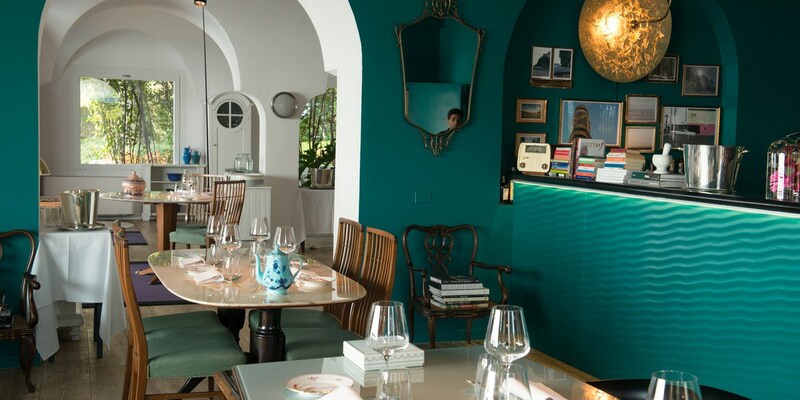 On the shores of Lake Garda lies one of Italy's most famous restaurants, headed up by the innovative Riccardo Camanini. Lido 84 was opened by Riccardo Camanini and his brother Giancarlo in March 2014. Just six months later, it was awarded a Michelin star, and today it’s one of the most well-respected restaurants in the country. The building was originally an outdoor swimming pool (or lido), and Riccardo has made sure its heritage has been kept intact, with the exterior looking much the same as it always has. 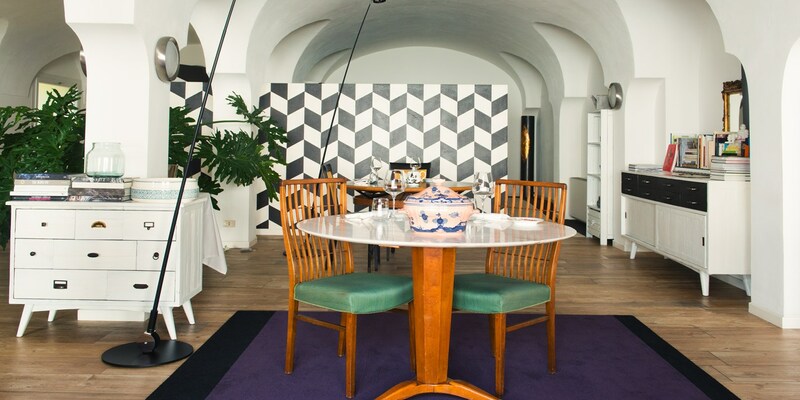 Inside, however, the dining room is an homage to 1960s art deco, the Italian film actor Riccardo Fellini and the colours of Lake Garda. The restaurant sits right on the lake’s shoreline, in the town of Gardone Riviera, with incredible views out onto the water with views of La Rocca di Manerba, an old castle and natural park. Inside, Lido 84 feels intimate, open and relaxed, where art deco style meets the natural hues of the surrounding countryside. But those dining in the veranda are treated to a panoramic view of the lake thanks to the wall-to-ceiling glass panels, which is particularly special during sunset. There is a huge emphasis on education and transparency at Lido 84, and Riccardo ensures all of his chefs spend no more than two months at each station. Chefs also bring dishes out into the dining room, in a bid to break down the boundaries between the kitchen and front of house. There are usually around nine chefs and four waiters, but everyone is a fully paid member of the team; Riccardo doesn’t believe in internships as he thinks someone has to be with a business for at least two years before they understand it. 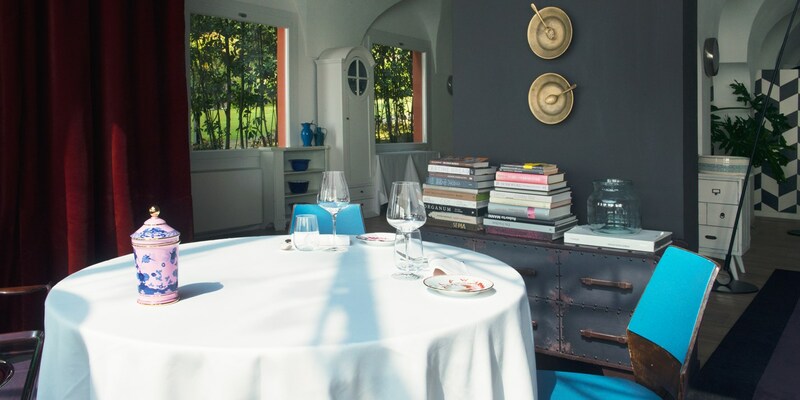 Diners have the choice between an à la carte, a six-course tasting menu and a more experimental seven-course tasting menu called ‘Oscillazione’ (‘Oscillation’) which features some more unusual dishes. Many dishes have a sense of theatre to them, with the chefs finishing them off table-side, and aim to perfectly capture the flavours of the local area. Seasonality and sustainability are at the heart of everything, with Riccardo using fish from the lake, foraging unique herbs and even making the most of the cedar trees which grow around the restaurant. Riccardo ensures any returning diners are well-looked after by making notes on anything they didn’t like from the first time they dine at Lido 84. Because the chefs come out with each dish, they are able to explain how they cooked it, list the ingredients inside and answer any questions you might have. Riccardo also ensures all his chefs can speak English, and likes them to understand French too. 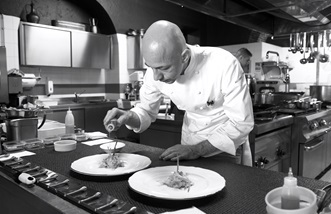 Riccardo never likes to see chefs use timers in the kitchen; instead, he encourages them to use their senses to know when a dish is ready. Working with Italian legend Gualtiero Marchesi and Le Manoir’s Raymond Blanc made Riccardo Camanini see cooking as more than just a job – it became a passion. Now he owns one of Italy’s most famous restaurants and has a Michelin star to his name. Growing up in a small village near Bergamo, Lombardy, Riccardo Camanini’s childhood wasn’t full of memories in his mother’s kitchen, helping to make pasta or smelling sauces bubbling away on the stove. Instead, he loved playing football and hanging out with his friends – eating was just a part of daily life.